Over the past few months I’ve come across and blogged about some pretty awesome healthy food brands out there on the market. From international brands to smaller, local companies, we’re spoilt for choice when it comes to having access to ingredients and products to help us eat clean while enjoying what we consume. That’s the secret to their success; the ability to be tasty while being packed with goodness. 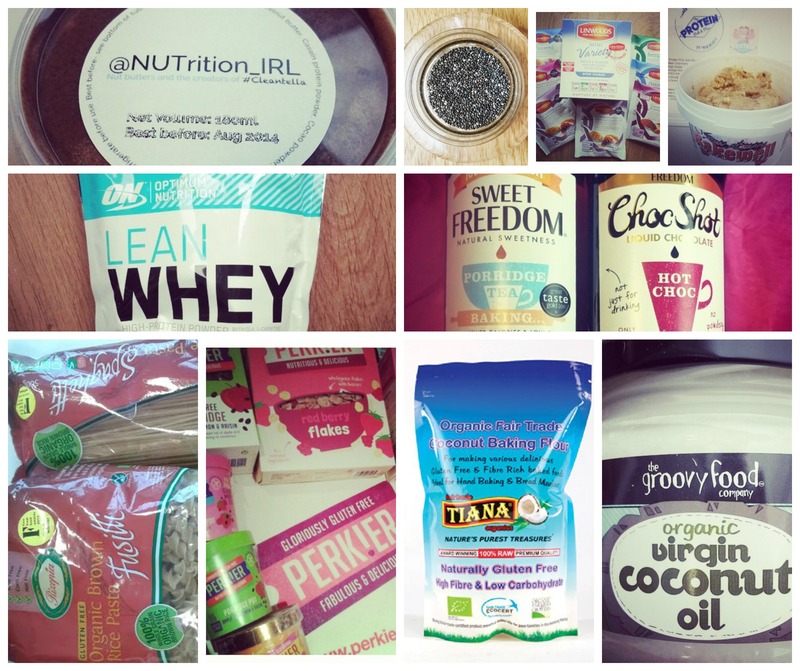 I thought I’d pull together my top 10 health food products I’ve always got in the cupboard, my fail-safe essentials which I always have a need for some way or another. 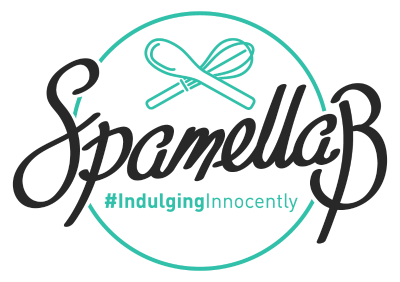 With a heavy gluten-free and high protein focus, these are brands I feel passionate about and think should be shouted about – if you’ve got any more to add, please comment on the post or tweet me @SpamellaB as I’d love to know! As a nut butter addict, I’ve always got my eye out for new varieties. After seeing two of my favourite food bloggers, Nicky and Sam, rave on about how amazing Hognuts Butters were, I had to give them a go, especially considering they are a family-run business based in Leeds (I’m an original Yorkshire girl, remember!). 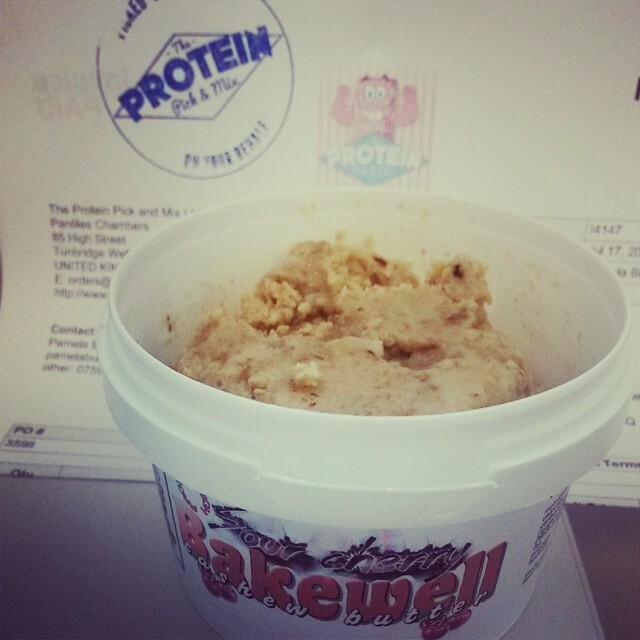 Artisan limited batch blends, including high protein versions, I fell in love with the protein Sour Cherry Bakewell Cashew butter ordered from my favourite health food website, Protein Pick & Mix. With other flavours like Chocolate Salted Caramel peanut butter and Cinnamon Bun peanut butter, these pots of deliciousness are almost too good to be true! Although I follow a low carbohydrate diet, when I do have them I always choose wholegrain for longer lasting energy. 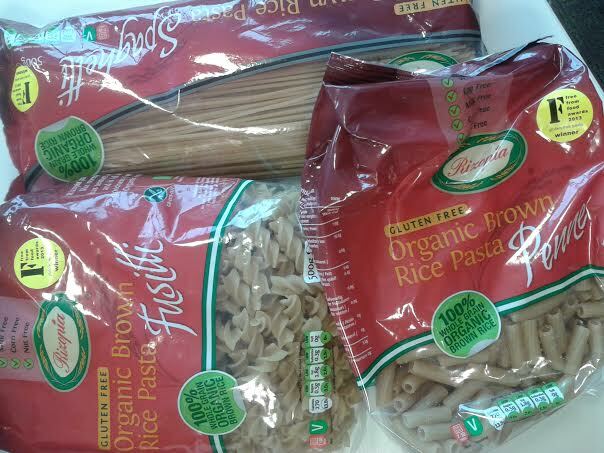 Being wheat intolerant, I had stayed off gluten-free pasta for a while after being frustrated with the lack of decent products out there…until Rizopia popped up and sent me a few of their organic, wholegrain bags to try. I was so impressed with how tasty the pasta was and how it kept its texture without going soggy – check out my full review and recipe ideas! 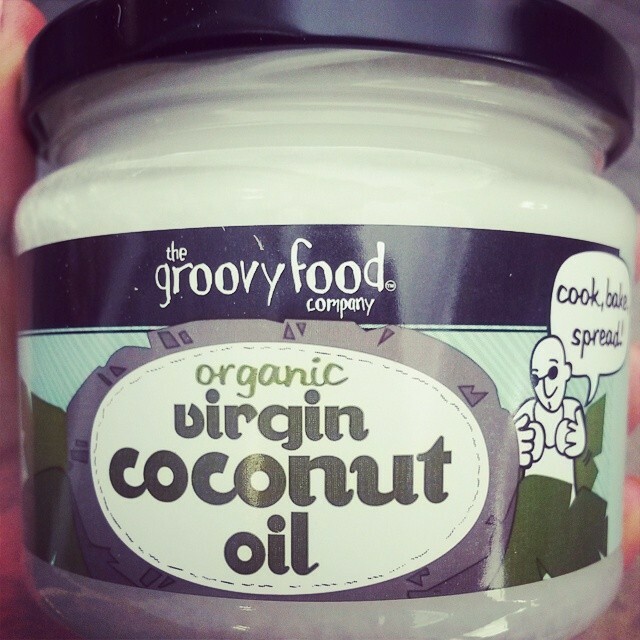 I still can’t believe I only introduced coconut oil into my life a few weeks ago after seeing so many people on social media – food bloggers, health junkies and even beauty writers – big it up for its health properties, both inside and out. I found a huge tub of The Groovy Food Company variety in Tesco for a really reasonable price and it’s still going strong, despite me using it in loads of healthy recipes and baking. What’s more, suffering from horrible dry elbows all of my life, I couldn’t believe how a dab of the oil every day has pretty much cleared it up – hooray! When I started to up my game on the core resistance and weight training element of my daily workout and wanted to introduce more protein, I wanted a whey powder that was tasty, versatile and not too ‘bulky’. 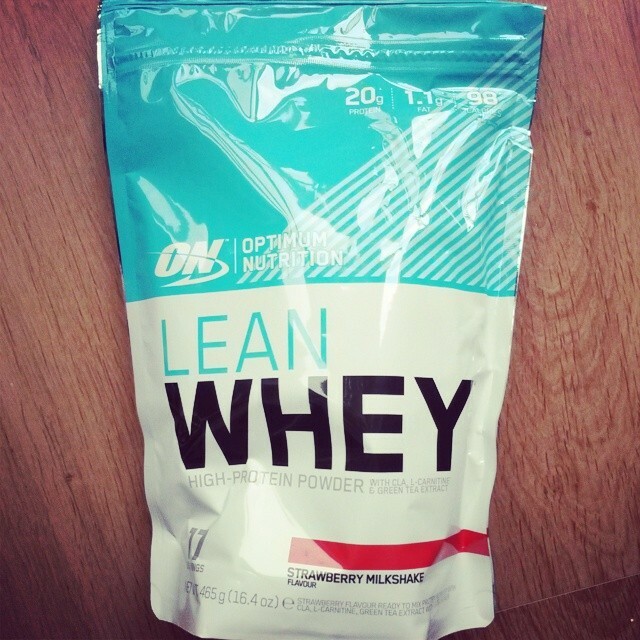 I’ve found Optimum Nutrition lean whey protein powder to be absolutely ideal – I use either the vanilla or strawberry milkshake flavours everyday in my post-workout smoothie with berries, banana and hemp milk, or mixed into natural yogurt with chia seeds and desiccated coconut soaked overnight. Then there’s the baking and desserts, including my new favourite, Banana Pancakes…the opportunities are endless! Highly recommended. These tiny seeds are miraculous little things bursting with health benefits and should be in everyone’s kitchen cupboard. 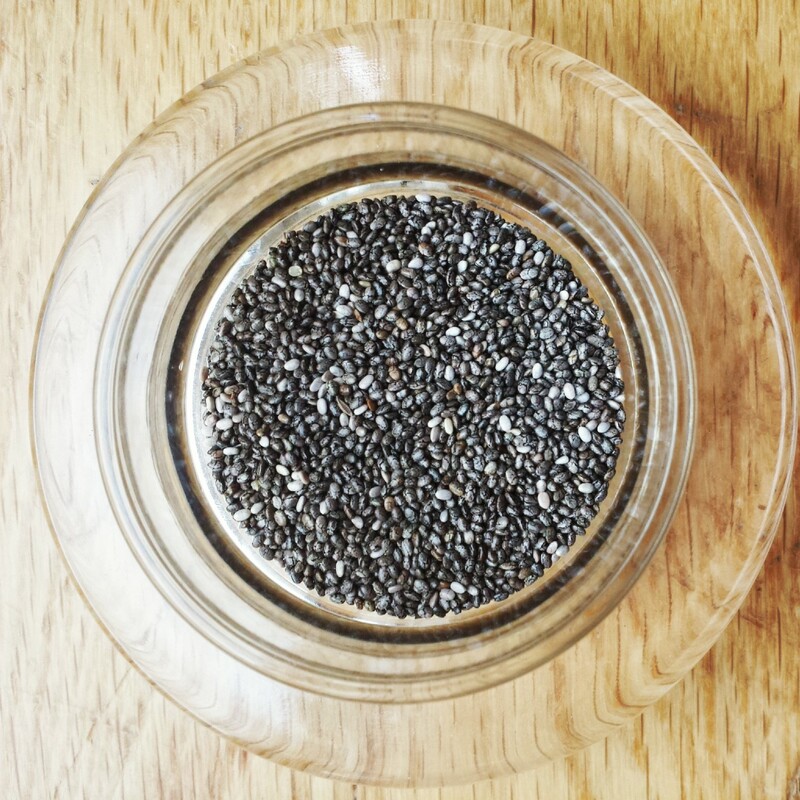 Chia seeds a great source of healthy omega-3 fats and fibre, help to boost energy, stabilise blood sugar levels, aid digestion and help to lower cholesterol – pretty impressive, right? The most common way of using them is soaking ⅓ of a cup of seeds with 2 cups of liquid (water, milk, yogurt) for a couple of hours or overnight, to produce a bulked-out ‘gel’. Add cocoa, vanilla, coconut, fruit…the opportunities are endless and I’m still finding out interesting ways to use them! One of my favourite simple recipes is making a berry chia ‘jam’ with them – check it out! Sweet Freedom and Choc Shot are tubes of natural sweetness syrup made simply from apples, grapes and carob, are low GI & GL, contain 25% fewer calories than sugar and are suitable for diabetics, making them an ideal sweetener alternative. 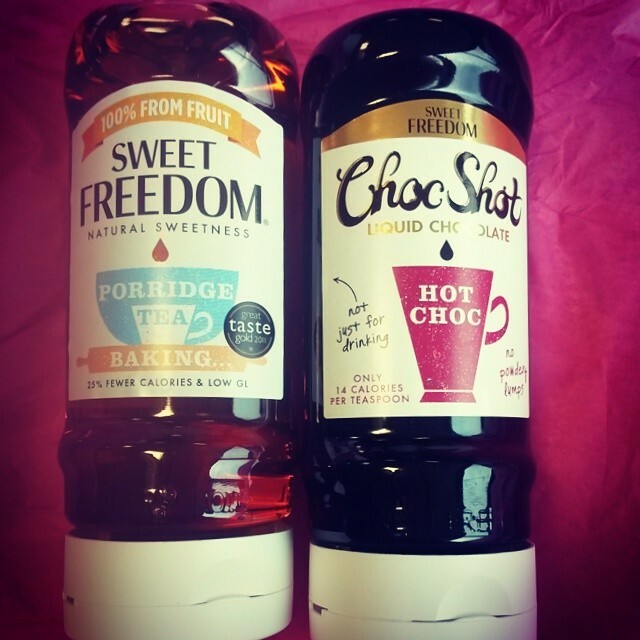 I recently reviewed both products and was really impressed with the taste and versatility – the Sweet Freedom was ideal in place oh honey in baking, while the Chot Shot one was great for a chocolate fix, drizzled on pancakes or used as a drink. I created six recipes using both, including delicious Carrot Cake Cupcakes, which went down a treat! 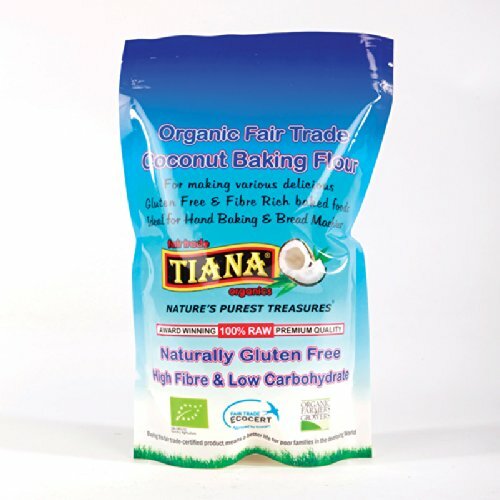 Thanks to getting more into ‘protein’ baking and seeing Sam and Nicky both use it in their recipes, I tried out Tiana organic coconut flour the other week and I don’t think I’ll look back! I’ve used gluten-free flours in the past but this natural, nutrient and protein-packed alternative is delicious, versatile and high in fibre. I’ve always loved anything coconut-related, so this flour adds an amazing hint of flavour to baking and cooking, especially when it comes to healthy chocolate cake or brownies! 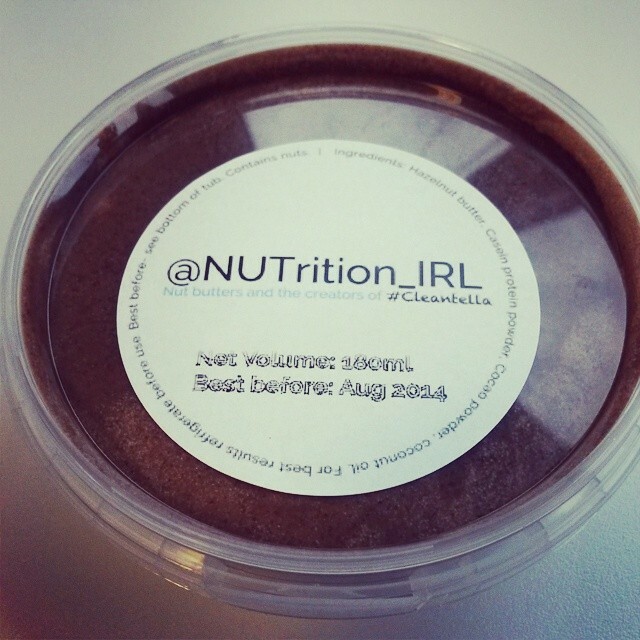 For the Nutella lovers out there, you’ll be pleased to know that a healthy, protein-packed alternative exists, in the form of NUTrition’s Cleantella. Made from simply hazelnut butter, casein protein powder, cocoa powder and coconut oil, these little tubs of goodness are absolutely heavenly and can be used for all sorts of clean eating creations if you have a sweet tooth or chocolate craving! To celebrate National Chocolate Day, I was sent a tub of Cleantella and made a divine Chocolate Cake with ChocShot Topping – I need to stock up again soon, it goes far too quickly! 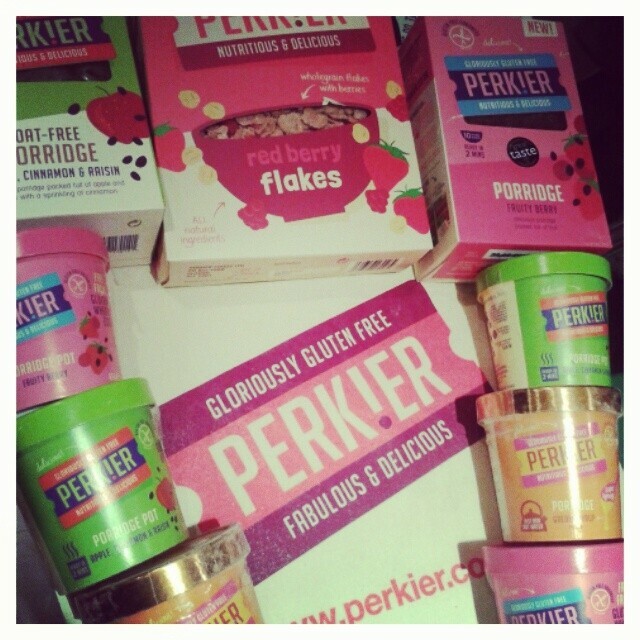 I’ve been a big fan of the Perkier brand for a while and love their delicious gluten-free treats and breakfast products. My kitchen cupboard is always stocked with their oat boxes and porridge pots – the Oat-free Apple, Raisin & Cinnamon one is my favourite – if I ever fancy a filling breakfast or need to use for baking cookies, cakes or desserts. If you’re looking for a decent gluten-free porridge or cereal brand, I can’t recommend Perkier highly enough for natural, no added sugar products which are packed full of fibre and low in saturated fats – goodness all round! Check out my full review over here. With a range of milled organic flaxseeds combined with other superfood ingredients, including cocoa, blueberries and strawberries or sunflower, pumpkin and sesame seeds with goji berries, Linwoods mixes are an ideal way to get a nutrient boost. 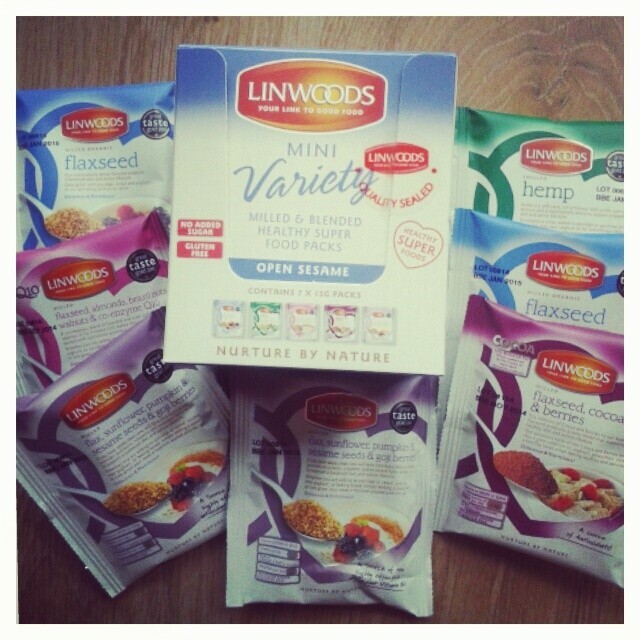 If you’re looking to improve your immunity, get a protein fix, want more fibre in your diet or build strong bones, Linwoods has something for everyone in their pouches of goodness, all ready to simply sprinkle over meals, include in smoothies or add to baking. I’m a big fan of their mini variety box with individual sachets so I can have them on the go and have a choice of flavour. A simple and easy way to add a quick health fix to your diet. Experiment: Chocolate Protein Muffins using…chickpeas!